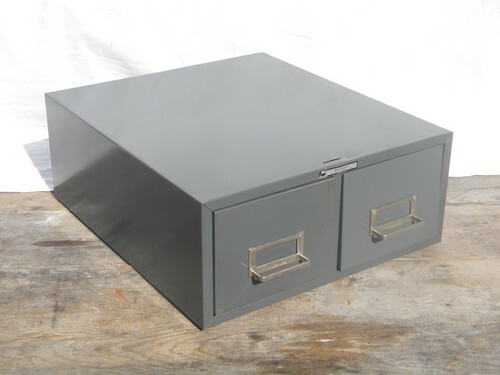 Vintage Steelmaster twin drawer card catalog or file cabinet from the 1960s in industrial gray. 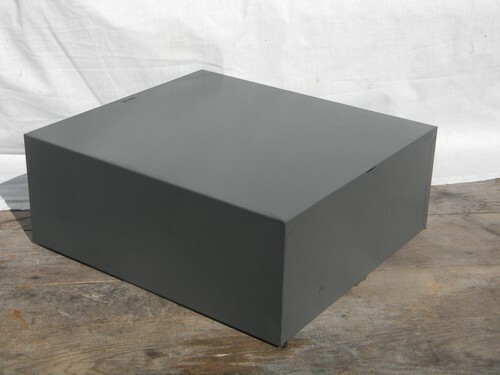 This is an authentic mid century vintage piece and not just a newer reproduction. This card catalog measures about 14 3/8" x 6 1/4" and it is 16" deep (front to back). 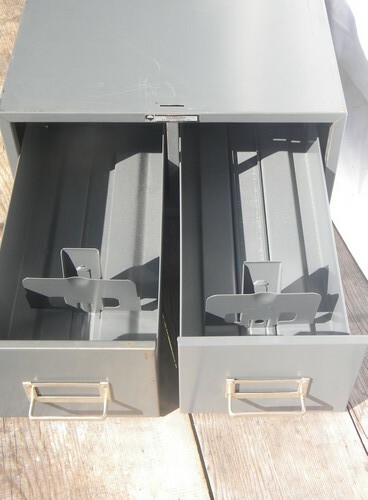 Each drawer holds an index card about 6" x 4 1/2". 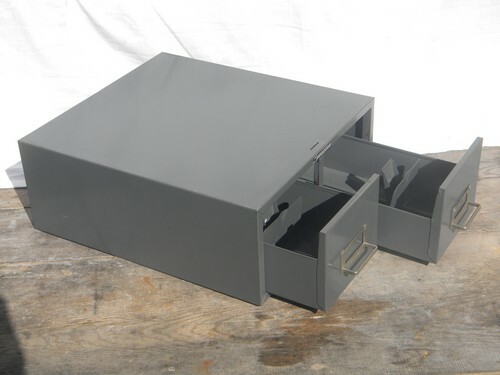 It has both of the adjustable file backstops. The bottom of the cabinet is marked with patent numbers from 1940 and 1963. There is minor wear to the paint.